WASHINGTON -- Brian Mulroney says Canada needs to put a little more water in its milk if it expects to make a new NAFTA deal with a hard-bargaining U.S. president whose political fortunes depend heavily on being able to declare victory for American dairy farmers. But he had a clear message for the prime minister: if the federal Liberal government wants to make a deal, it better start dealing -- particularly on the issue of access to Canadian markets for U.S. dairy producers, a critical issue for U.S. President Donald Trump. 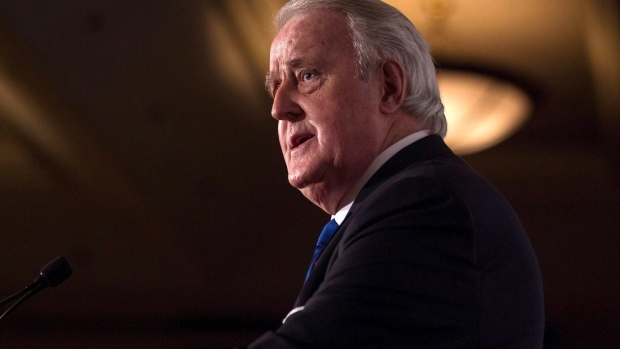 "There is not going to be a deal -- period -- unless there is a compromise in that area because that is what he campaigned on and it's stuck to him and he's stuck with it," Mulroney said. "So if we don't find some way to accommodate some of that, then we're not going to have a deal." "There's a range of things we've been firm on and will continue to be firm on, but there's also things we're looking to be flexible on because it's time to update this deal after 25 years," he said in an interview with Winnipeg radio station CJOB. "We're just going to stay working constructively to get to that win, win, win that we know is there." "If Ambassador Lighthizer goes to the president in the Oval Office and says, 'Mr. President, I recommend we accept this deal with Canada; it's not perfect, but it's a good deal,' then I think he takes it,"' Mulroney said. "He has great confidence and trust in Lighthizer. That I know for sure, right from the horse's mouth." 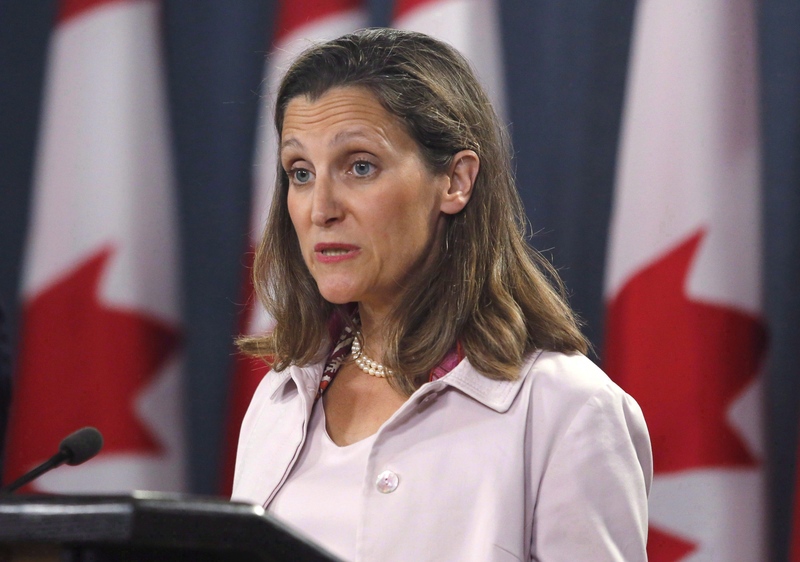 Lighthizer and Canadian counterpart Chrystia Freeland returned to the negotiating table for one day Tuesday before she jetted off to Saskatoon to brief the prime minister at this week's caucus gathering, which wraps up Thursday. True to form, when asked about Mulroney's remarks, the foreign affairs minister refused to say anything publicly about the discussions around the table for fear of undermining what she described as a cordial and productive atmosphere. "That has been the right decision," Freeland said late Tuesday of the mutual agreement to avoid publicly disclosing details of the talks. "Not negotiating in public has helped us to have the kind of frank and candid conversations we need to have around the table, and crucially, it has helped to build that trust and goodwill and good faith on both sides." "Maybe that helps us all put into perspective the negotiations that we're having -- and also put into a little bit of historical perspective the importance and the significance of the relationship between Canada and the United States," she said of the anniversary. "At the end of the day, we're neighbours -- and at the end of the day, neighbours help each other when they need help." "Forget what you read about NAFTA negotiations and Twitter wars, that's not who we are," Craft told the gathered crowd as she thanked Canada -- and Gander -- for playing host in 2001 to countless stranded American air passengers. "Sure, it's business and it's important, but Gander is the place that -- in a snapshot -- illustrates the Canada-U.S. relationship." Ottawa and Washington are trying to reach an agreement that could be submitted to the U.S. Congress by month's end. A deal would see Canada join a preliminary trade agreement the Trump administration struck last month with Mexico. The U.S. has said it plans to present Congress with the deal it has with Mexico if Canada doesn't get on board. But a deal without Canada has virtually no chance of being passed, Mulroney said. "If (Trump) goes to Congress with a bilateral arrangement with Mexico, he's got problems -- real problems," Mulroney said. "He doesn't need any more problems, particularly when he's going into an election campaign with a vote in November that could be extremely challenging for him."